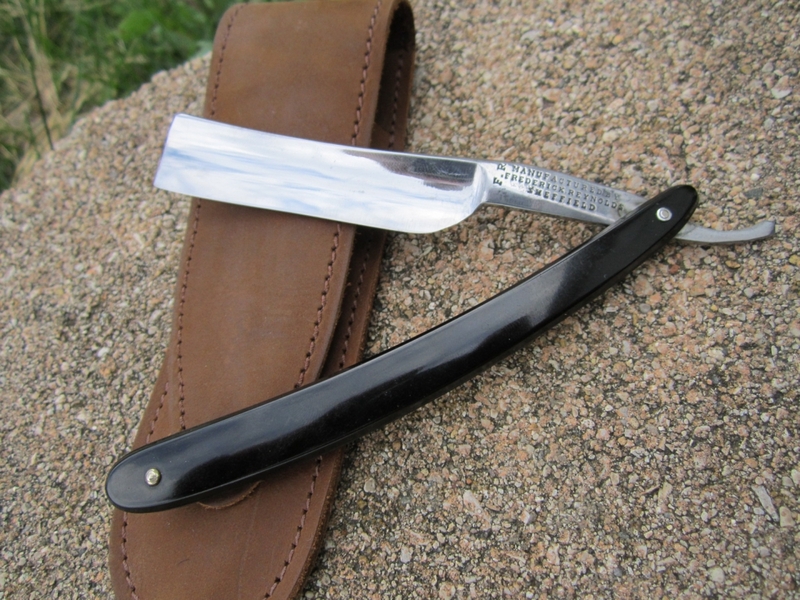 Has your straight razor been feeling dull lately? Have you been pulling or tugging more than usual while shaving? If yes, then your razor may need to be re-sharpened or honed. I am currently offering straight razor honing services. They start at $8.99/razor for a basic hone due to normal usage (this should be done every couple months depending on your shaving frequency and beard type). Your razor will have to be shipped to Glendale Heights, Illinois. Please ensure that the brand of your razor is not listed on the The Shave Library - Razors to Avoid List. These razors are made of a type of metal not fit for honing and shaving. 4 or more razors at $5.99/razor. I do basic honing on razors which were previously shave-ready. I also fix chips and rebuild bevels at an additional cost. A 4k/8k/12k progression is used followed by 50x wool felt, 50x leather. 1 to 2 layers of electrical tape is applied to the spine in order to keep hone-ware at minimum. I only shave with razors I have personally honed. Before sending me your razor, please ensure that you don't send Chinese or Pakistani razors, and novelty knives made to look like razors because they just don't hold the edge well. Why are my prices so low? I don't do this for money. In fact, I shouldn't even be doing this because I already work long hours and have exams to prepare for. I'm a hobbyist just trying to pick up some extra cash sharpening razors. Note that I charge extra for honing brand new razors, extremely blunt razors, and chipped razors. Choose number of razors. Contact me if you have more than 10 razors or if you are located outside the United States. NOTE: sometimes due to work overload, I tend to remove my ebay listing. "Everything exactly as advertised, delivered as promised. Does a good job." - Mike M. from California. "I got them and shaved with the Wentworth, thanks a lot for your work and the shave cream." - Travis P. from Illinois. I accept personal checks (or cheques), all major credit cards, and Paypal. Proverbs 27:17 - As iron sharpens iron, so one person sharpens another. Copyright © 2019 StraightRazorHoning.com. All rights reserved.